Are you a dealer/installer? Contact us for preferred pricing. F-Type Coax cables have been around for many years. These cables are typically used to connect a TV to a cable box. Traditionally, RG59 coax has been used, but is no longer the case with satellite TV. 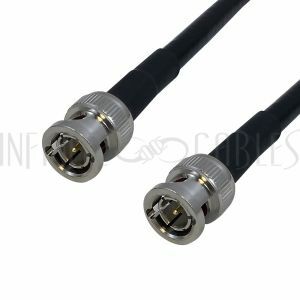 In order to support higher resolutions and bandwidths, RG6 must be used from the dish to satellite box, and RG59 can be used from the satellite box to the TV set. 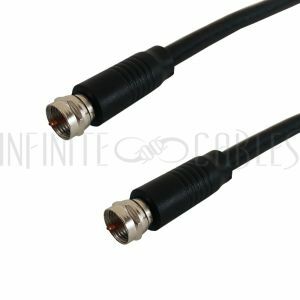 All of our F-Type coax cables are constructed of high quality RG6 cable, to insure that the purest possible signal is possible in any application. Composite Cables are the most common type of cables used to hook-up consumer electronic audio/video equipment. The connector type which is typically used is a RCA. The colour code for a video connection is yellow, red for right audio and white for left audio. 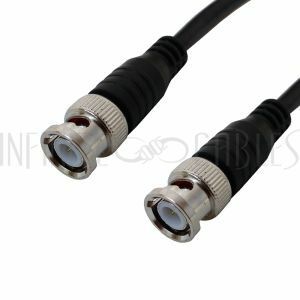 Using a high quality composite cable is essential in maximizing a video display because the entire video signal is transmitted on a single cable. 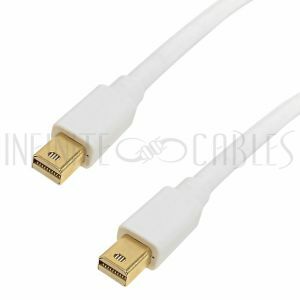 We have had many customers purchase our high-end composite cables and noticed a considerable difference in video display quality over the low-end RCA cables commonly found on the market. "Your 25ft composite cable solved my ghosting problems. This is a great product!" S-Video cables (also known as SVHS cables) are a step up from composite cables, in that they split a video signal into two different components, Luminance and Chrominance (Y/C), instead of transmitting the entire signal over one cable. 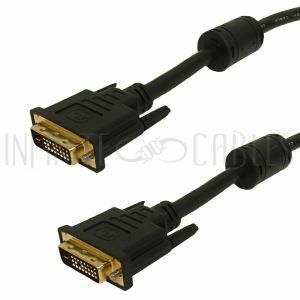 An important aspect to consider when purchasing S-Video cables is the composition and quality of the cable itself. Many low-end S-Video cables are constructed of four conductor cable opposed to two miniature coax cables. 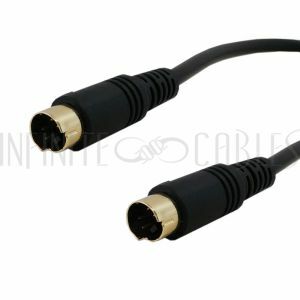 It is essential that S-Video cables be constructed with a heavy gauge mini-coax cable, especially over long distances. S-Video cables carry a 75 ohm analog signal that low-end cables can not properly support resulting in ghosting and fussy displays. Component Video offers the best possible picture quality on the market today. 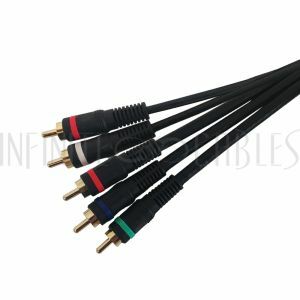 Most high end DVD's & HDTV receivers/tuners are now using component cables. Component cables are comprised of three 75ohm RCA cables. The signal is split into three connections, Y, Cr, Cb or Y, Pr, Pb. Each connector is colour coded Red, Green and Blue. Some projectors and HDTV receivers/tuners manufacturers have chosen to use a High Density 15-pin connector (HD15) instead of 3 RCA's or 3 BNC's because of space restrictions. 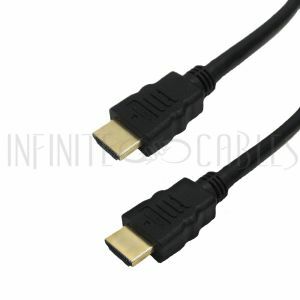 In this case, a 15-pin (HD15) to 3xRCA breakout cable is required to connect to HDTV compatible screens. In some cases, when connecting a computer to a projector, a RGBHV cable may be needed. A RGB signal split the video signal into three cables, Red, Green and Blue. These cables typically carry the sync info over the green wire, sometimes calling it RGB sync on green. Common cable configurations are 3 x RCA to 3 x RCA, HD15 to 3 x BNC or HD15 to 3 x RCA. A RGBS or RGB H/V signal splits the video signal into four cables (Red, Green, Blue, as well as one cable for Horizontal and Vertical sync). Common cable configurations are 4 x BNC to 4 x BNC, HD15 to 4 x BNC or HD15 to 4 x RCA. A RGBHV signal splits the video signal into five cables (Red, Green, Blue, as well as Horizontal and Vertical sync). Common cable configurations are 5 x BNC to 5 x BNC, HD15 to 5 x BNC or HD15 to 5 x RCA. 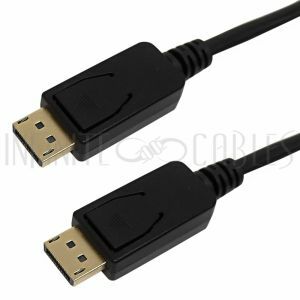 HDMI cables carry the same sort of digital video signal as DVI cables, as well as 16 bit, 8 channel digital audio signals. 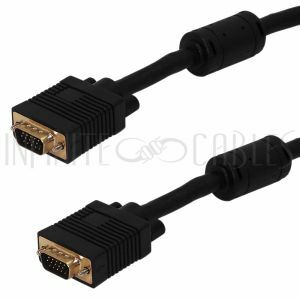 HDMI is backwards compatible with DVI devices, but will obviously not be able to carry the 8 channel digital audio connection that is available over a pure HDMI connection. Many new consumer electronic devices such as TV's, plasma screens, LCD's and DVD players are adopting this technology. HDMI may become the future standard for HDTV, but DVI might remain the leading technology in applications were audio is not necessary such as projectors & computer monitors.